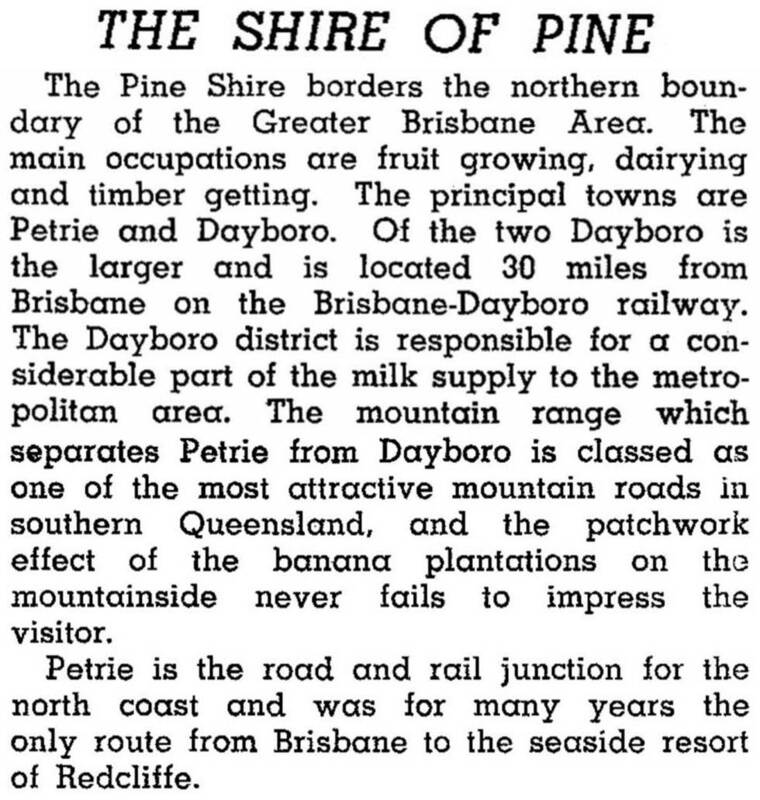 Pine Rivers Shire, immediately north-west of the Brisbane city municipality, had an area of 750 sq km. In 2008 it was amalgamated with Caboolture Shire and Redcliffe City to form Moreton Bay Regional Council. It took its name from the North Pine and South Pine Rivers which rise in the D'Aguilar Range, about 35 km inland. North Pine River's watershed is at Mt Samson and South Pine's is at Mt Nebo.